Y'all, this book is so good. It will be your beach read this summer. I listened to this one on Audible in a couple of days. It was a fascinating, suspenseful story and I couldn't wait to see what happened next! 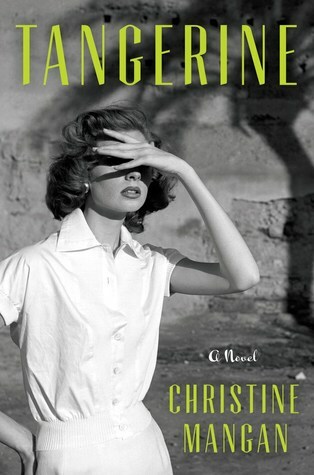 In Christine Mangan's debut novel, two young women, Alice Shipley and Lucy Mason, are former Bennington College roommates who find themselves uneasily reunited in Tangier in 1956. Alice, a posh British orphan, and Lucy, a mysterious local scholarship girl, were inseparable companions until tragedy struck. In a story of obsession, mental illness, and the stories we tell ourselves, Alice and Lucy find their paths are still intertwined quite dangerously. The plot is Donna Tartt meets Gillian Flynn, and the setting is exotic and sophisticated. Mangan's 1950s Morocco is filled with well-mannered European expats and devious locals. The reader is swept up in intrigue and imminent murder in a fast-paced tale told by two very unreliable narrators. It's a very interesting story of how friendships can go terribly wrong in a hurry.